I read a Nerd Fitness article and I learned good stuff. 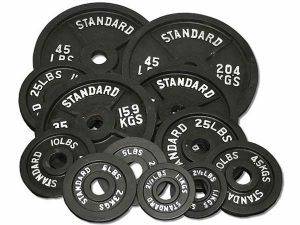 What weight should lift to begin with ? If my program tells me to do 5 sets of 5 reps at 80 % of my 1 rep max, how do I get to know my 1 rep max ? In my program, there isn’t this notion of percentage and 1 rep max, how do I know the weight I have to lift ? Here are some tips to start your program with the right amount of weight. The fist step of your workout is to do bodyweight exercices to learn how to do well the bench press. This may sound odd but I really advise you to take your time to learn to perform well without weights or with a very light weight. Imagine that you can’t climb stairs normally, What happens when you have to climb stairs with bags of supermarket ? Yes, you’re going to hurt yourself. 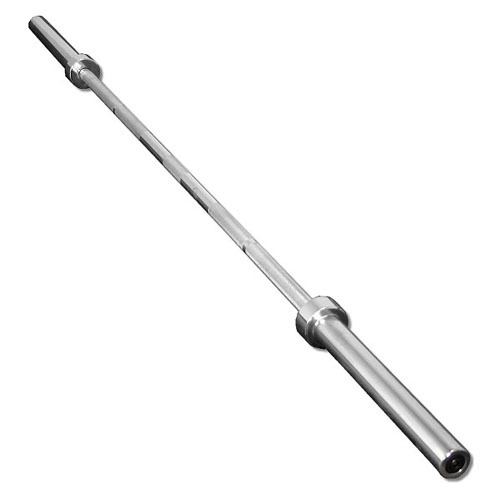 To learn barbell’s movement without barbell, you can take a broom stick or a PVC pipe. To learn dumbbells movement without dumbbells, you can take 2 sections of PVC pipe or 2 bottes of water. It’s true that it’s not the same sensations that with weights but it allows you to learn a movement without risk to hurting you. With this method, you can train at home alone. No one looks at you like in a gym so you’re less nervous. What’s cool is that yo can film yourself with your smartphone to compare your videos with tutorial videos that you can find on Youtube of elsewhere. To learn in depth how to move, I recommend the book Starting Strength . Once you feel confortable with movements, you go to the next level. For your first training with the barbell for the bench press, you’ll use the barbell without weights to be comfortable with. As you read in my articles Back To The Source Of Equipment Part 1 et Part 2 , the barbell i’m talking about is the Olympic barbell 20 kg (45 lbs). If you have difficulty with the Olympic barbell, here are some alternative. 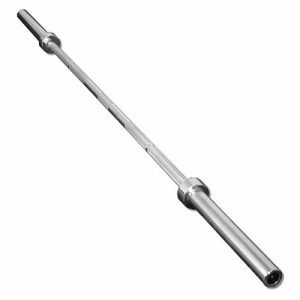 Look in your gym if there are lighter barbell like the « women’s bar » 13.6-15.87 kg (30-35 lbs) or the « training bar » 6.8 kg(15 lbs). EZ curl bar isn’t designed for the bench press. You can use dumbbells. It’s true that isn’t really the same movement but it will help you to build your strength to be comfortable with the Olympic barbell. Continue to do bodyweight exercice as squat, lunges, pull ups, push ups. This will help you to build your strength to be comfortable with the Olympic barbell. That may be the opposite. For you to use the Olympic barbell without weight is easy. I still advise you to continue your first training with the Olympic barbell without weight. In this way, you can concentrate for each repetition to have the best technique possible. Wait the next session to add weights. There isn’t ego in a gym. Unfortunately in gyms we often see people lifting very heavy weights with a poor technique and this happens more and more often. 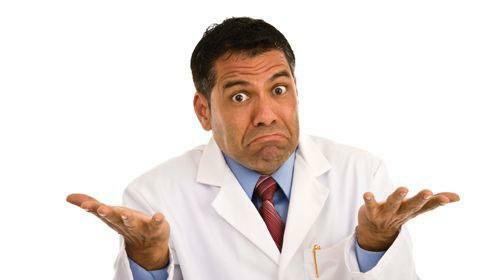 I have 2 friends who have dislocated their shoulders with the bench press and now they can no longer develop their chest and their shoulders. One of these 2 friends showed in front of me who his shoulder dislocates when he do bench press and he regrets a lot of having lift too heavy with a bad technique. Since I’ve seen this, I prefer to lift lighter with a good technique and I advise you to do the same. If after your first training with the Olympic barbell, you’re still not comfortable with. I recommend you to continue to train with the Olympic barbell without weights until you’re comfortable with. If you need to do this for 10 sessions, do it, there is not problem. I’ll tell you something, Listen carefully. If you get hurt, it’s not because you body isn’t ready. It’s because you don’t trust in you under the Olympic barbell. Self-confidence is the most important element to lift heavyweights and heavier. It means knowing when you can lift and when you can’t lift. An athlete train his/her body and mind. If you have planned to use dumbbells as your main lift (like me) and don’t use Olympic barbell, stat with 2.2-4.5 kg (5-10 lbs) dumbbells to work your technique. Most beginners workout programs are 5 sets of 5 reps, 3 sets of 8 reps or 3 sets of 10 reps. For this example, we’ll use 5 sets of 5 reps. Your workout should always begin with a warm-up routine. Then you take the barbell without weights and you do the repetitions number of your program (for our example, it’s 5). Yeah, yeah, I know. You thought that after the warm-up routine, you could lift heavy but you have not quite prepared your body yet. For each exercice, you need to warm your body with lightweights. It’s very important to do this because it allows your body to warm your nervous system and the muscles needed to make the movement. For beginners, it’s really important to learn the good technique right away. Once your nervous system and your muscles are ready, add between 1.1 kg (2.5 lbs) and 4.5 kg (10 lbs) on each side. Do a set of 5 reps with this weight. Note : If your strength training is based on dumbbells like me, starts with 2.2 kg (5 lbs) dumbbells, then 4.5 kg (10 lbs) dumbbells for example. If you can do 5 reps without degrading your technique and without slowing the speed of the barbell, you can add weight. If it’s really light adds 4.5 kg (10 lbs) on each side or less like 2.2 kg (5 lbs). Continue to do this process until the speed of the barbell or you technique begins to deteriorate. The weight you lifted before your technique deteriorates is the starting weight on which you will base all your future exercises. If you thought you could lift more, don’t panic, that’s the right number. You’re not in a gym to impress someone. It doesn’t matter if it’s your first or your 1000th workouts. It’s better to start too light than too heavy. The goal is to do quick reps with a good technique. When your technique deteriorates, you have reached a limit with your body, too much will create an injury. In this process, you’re trying to lift the heaviest weight you can so use collars for your safety. When it becomes difficult, ask someone to be your spotter to avoid an injury. This is the end of the Part 1. In the Part 2, I’ll talk about what to do after several workouts, find your 1 rep max and what amount of weight is respectable to lift.